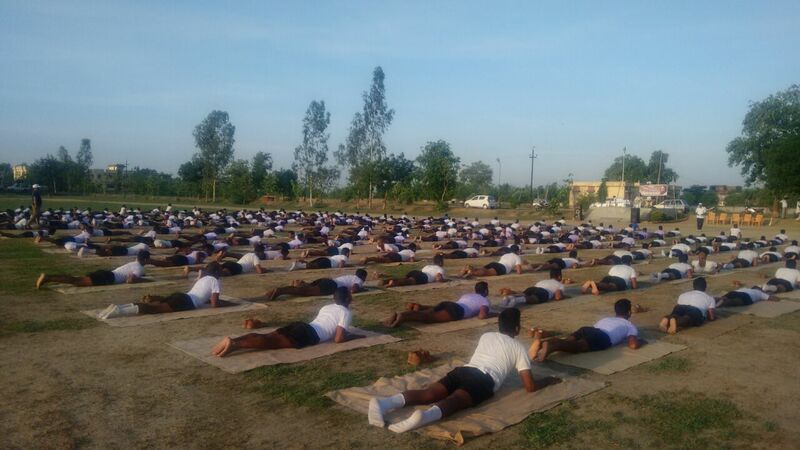 We were invited by Superintendent of Police, Buxar, Mr. Upendra Kumar Sharma to organize Yoga-Dan Shivir from 27th of June to 29th of June at Police Line, Buxar. 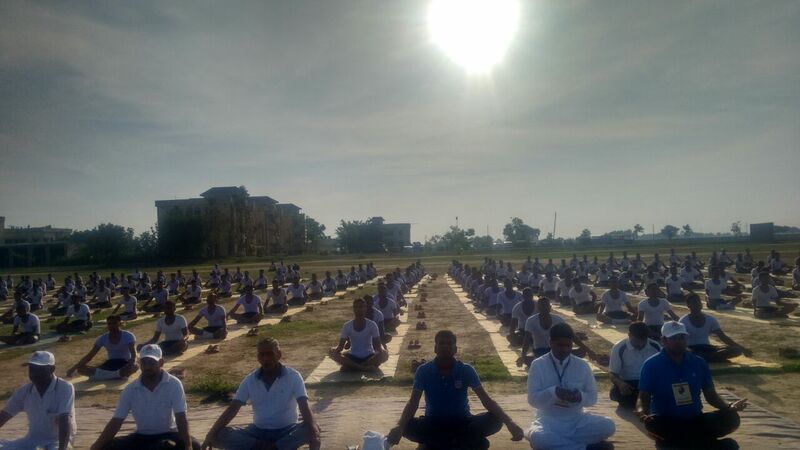 In the training around 400 trainees were present and learnt Yoga, Pranayam and Guided Meditation (In Sri Sri’s Voice). Before the organization of the Shivir, we met Sergeant Major Mr. Randhir Singh along with Inspector of Police Mr. Ragahav Dayal to decide the place for the program (Yog-Dan Shivir). On the 1st day our focus was making the trainees strong physically and mentally. As we know that the job of a police is full of pressures and tensions. They have to deal with different types of situations on a regular basis. Our purpose was to help them in getting rid of stress, so that they may perform better (as it is said that a tension free mind takes right decisions). 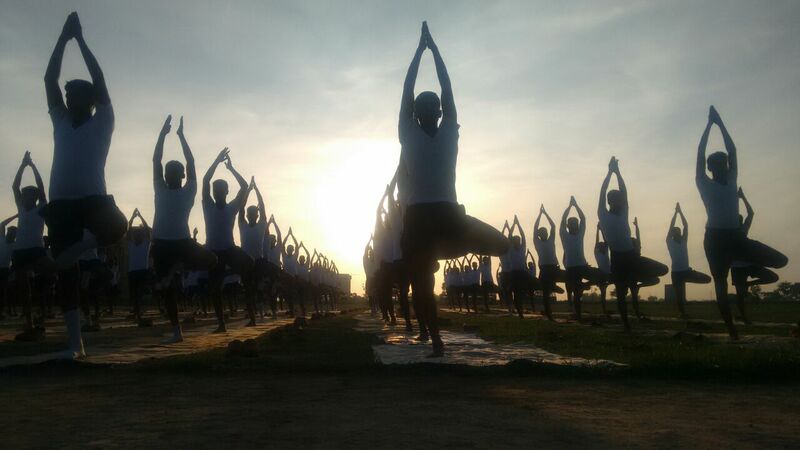 ​The ​Shivir lasted for 3 days and our main purpose was to maintain all the strength within the trainees for all the 3 days. In fact the same strength needs to be maintained during the entire life cycle. 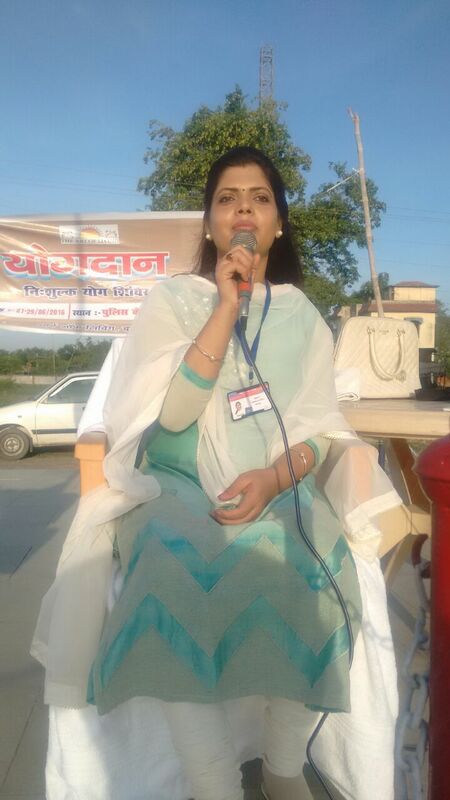 Mrs. Varsha Pandey was the teacher for the Shivir and Mr. Manoj Verma was the demonstrator. The guidance and demonstration given by the duo was appreciated by one and all. 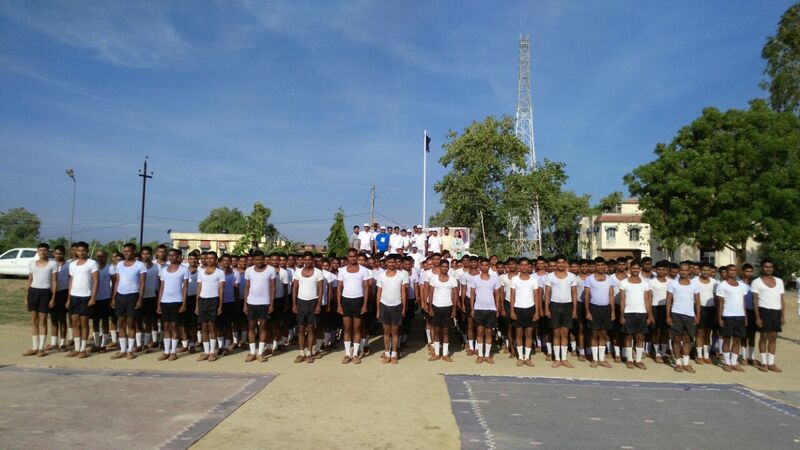 On the final day (29th of June) Mr. Randhir Singh (Sergeant Major of Police, Buxar) appreciated the three days course. He complimented on the dedication of the Art of living team towards the Shivir. He was happy for the time given to Police team by the Art of living team. He also requested to the police trainees to utilize the learning from the shivir in day-to-day life for better temperament. Further he added that he along with the trainees learnt some new and interesting things. He offered a big thanks to The founder of the Art of living H.H. 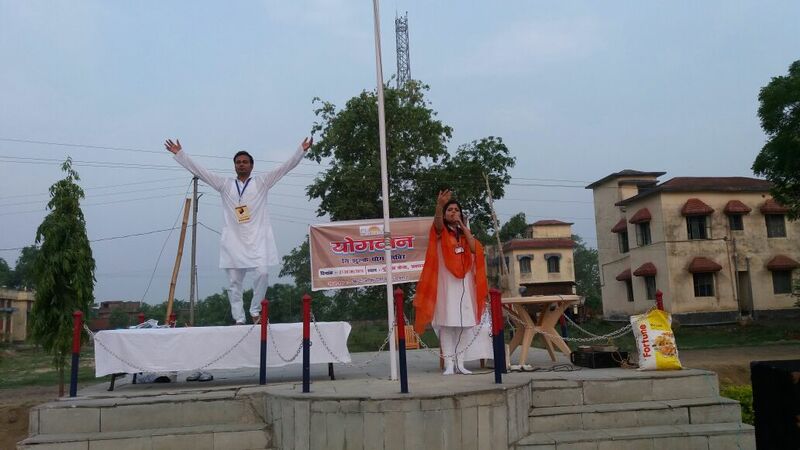 Sri Sri Ravishankar and the Art of living team, Buxar. He also praised the selflessness of the art of living team. Further he appreciated Mrs. Varsha Pandey. He also said that he will be trying to get the Happiness program conducted for the police team, so that all may get benefited. We are sharing experiences of few of the trainees. 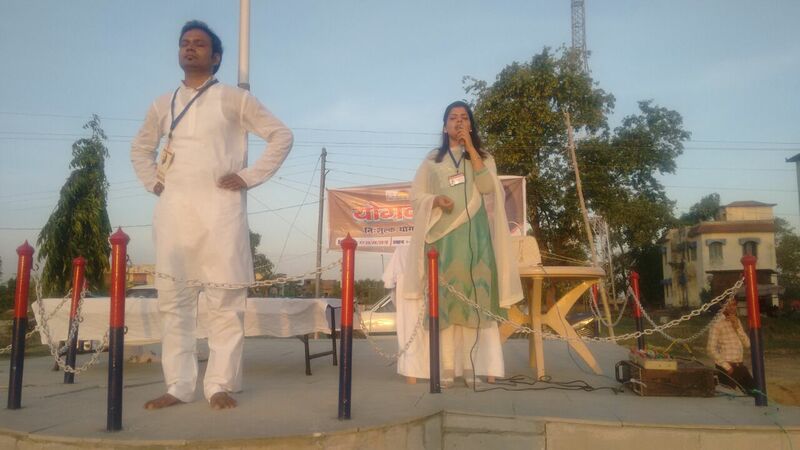 Further, Mrs. Varsha Pandey insisted on doing meditaion and Yoga. She also suggested to opt for happiness program. 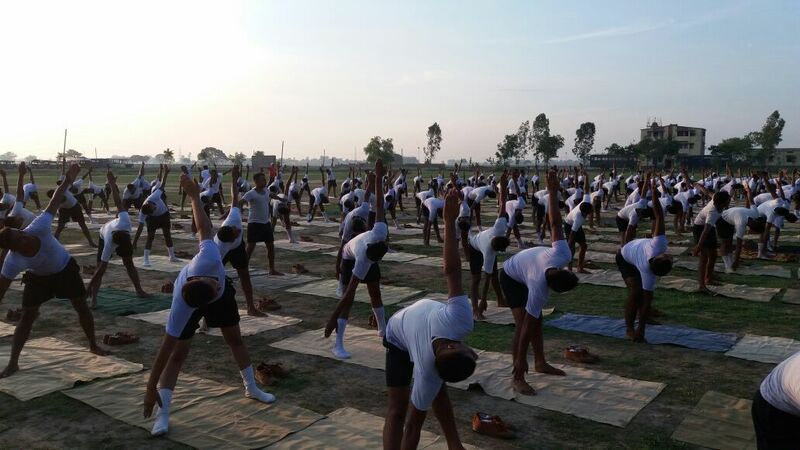 It is not unknown that police department feels lots of pressure and to keep healthy even after the pressure and tension one needs to take help of Yoga and Pranayam. 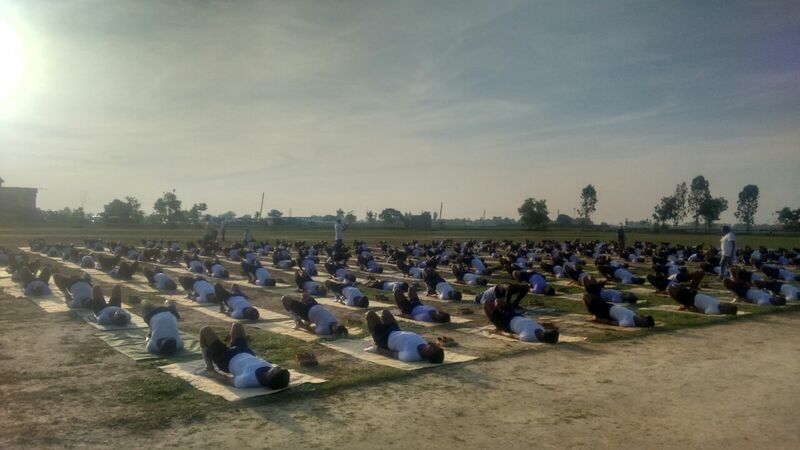 ​Every one promised that they will be doing yoga for life-time. 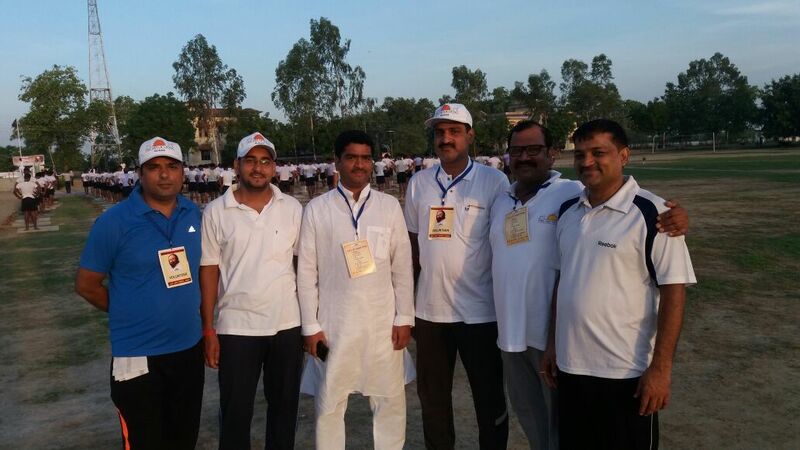 Art of living team buxar gave a Slogan, “Art of Living ne Thana hai, Buxar ko swasth (Healthy) Banana hai. 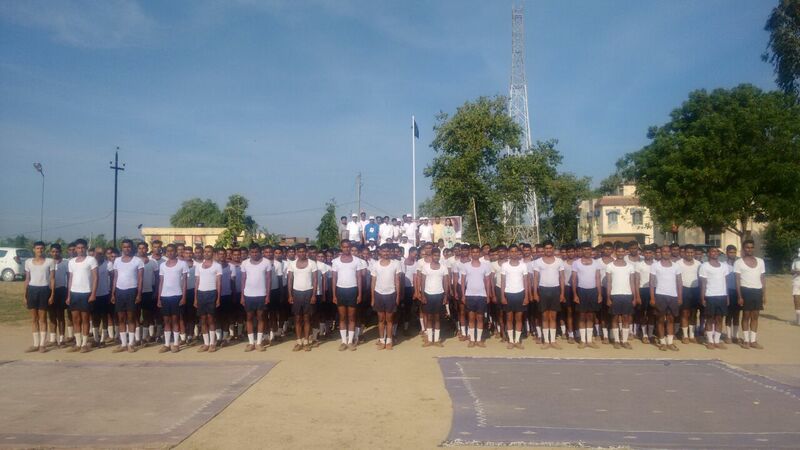 At the end of the program, Rudraksh was planted in the police line. All promised that they will be watering the plant for sure. ​The Superintendent ​of Police, Mr. Upendra Kumar Sharma also appreciated our efforts. He was pleased the way the shivir was conducted. He also appreciated the plantation done by the trainees. We had organised a Yogadan Shivir from 10th of June 2016 to 20th of June 2016. 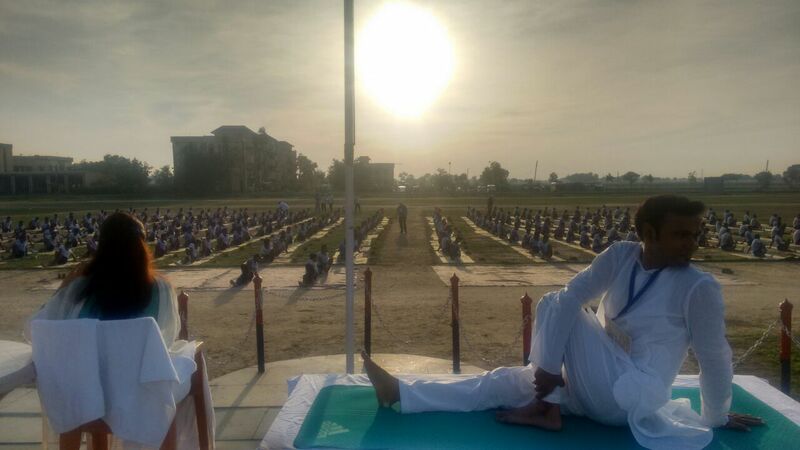 The Shivir was organised to make people aware about Yoga Pranayam and Meditation. This was done free of cost. Our teachers (Varsha Pandey, Jitendra Pandey and Santosh Mishra) provided guidance to people to keep themselves healthy. 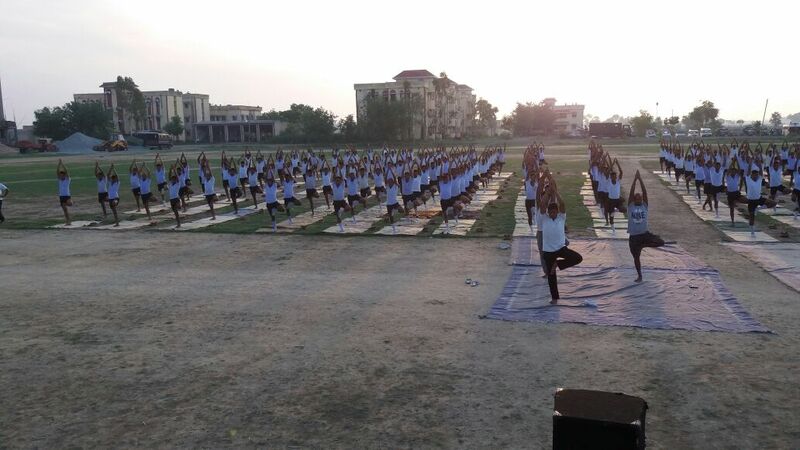 The Shivir was organised on different places (Art of living centre, M.P. 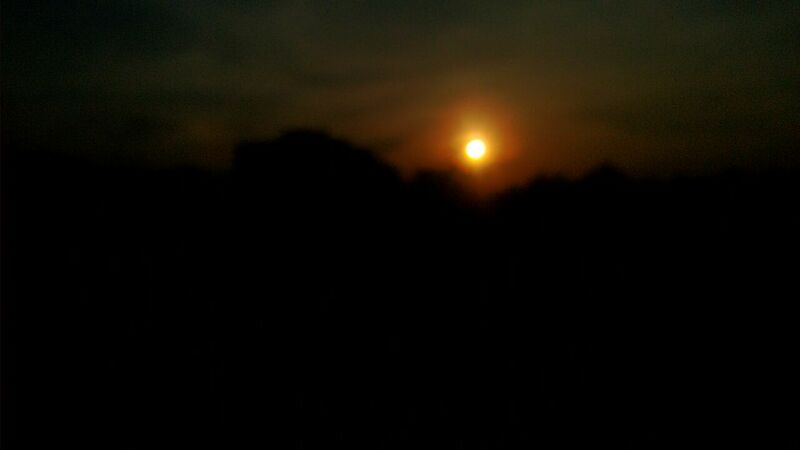 High School and the near by area of Buxar). People responded positively towards the Shivir and they praised they were guided. Around 1000 people had joined the Shivir and got benefited. 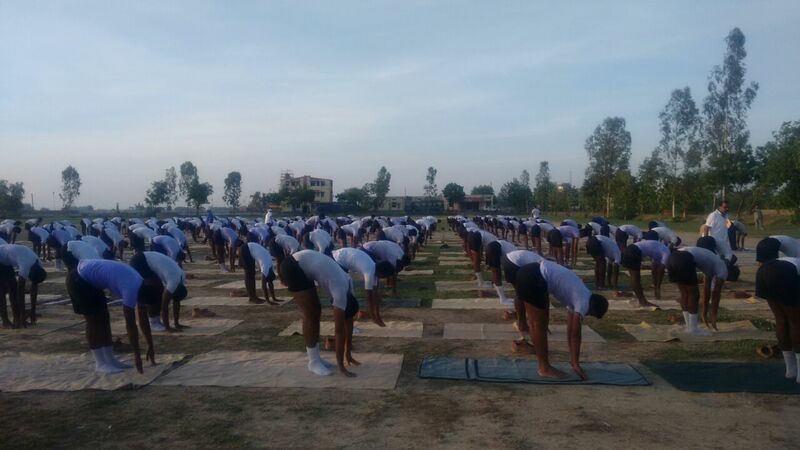 They learnt different patterns and postures of Yoga, Pranayam and Meditation.